Alty Ladies in pre-season 2017. Altrincham FC runs an open-age Ladies' team which plays (2018-19) in the North West Regional League, Division One South. The venue for home matches is normally Mersey Valley Sports Club, Banky Lane, Sale, M33 5SL. Matches are normally played on Sundays, k.o. 2pm. Spectators are welcome at all games. For details of matches and times, please see the fixtures list below. There is a separate website for the Altrincham FC Juniors and social activities. A 2-0 home win, on Sunday, over Stockport County Blues lifted Altrincham FC Ladies to third in Division One South of the North West Women's Regional League. Altrincham FC Ladies won 8-1 away at Wythenshawe Amateurs on Sunday. The Ladies lie fourth in the league, ten points behind the leaders, West Didsbury & Chorlton, who have played four fewer games. The next fixture (21/04/19) is at home to Stockport County Ladies Blues, who lie seventh in the table. On Sunday, Altrincham FC Ladies defeated Wythenshawe Amateurs 5-0 at Mersey Valley. The Ladies now lie fourth with 30 points from 16 fixtures. They are seven points behind leaders Liverpool Feds Reserves who have played two more matches. However, second-placed West Didsbury & Chorlton are in pole position, just three points adrift of the leaders but with six games in hand! And Alty Ladies' next match (on 10 April) is at home to... West Didsbury & Chorlton! On Sunday, Altrincham FC Ladies beat Curzon Ashton 2-0 although the FA website for their league stated they had lost 0-2! The win ended a run of three consecutive defeats. The Ladies' next game is at Mersey Valley against next to bottom club Wythenshawe Amateurs. Curzon Ashton FC (Tameside) Women's team host sixth-placed Alty next Sunday. Altrincham FC Ladies scheduled match on Sunday at Wythenshawe Amateurs was postponed. The next fixture is against the same opposition but at home (Mersey Valley). On Sunday, Curzon Ashton FC (Tameside) Women beat Altrincham FC Ladies, 4-1. The result leaves Alty fourth, nine points behind the leaders Liverpool Feds Reserves with three games in hand. But second placed West Didsbury & Chorlton have six matches in hand! The next match is on 24 February away to Northwich Vixens, who are eighth, eleven points behind Alty with three matches in hand. 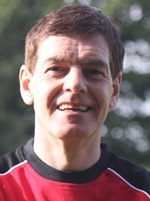 Altrincham FC Ladies' manager Keith Edleston and coach Dave Grundy have left the Club. On Alty Ladies Twitter Keith stated that "Unfortunately we have to announce that both myself and Dave the 1st team coach have left Altrincham FC Ladies with immediate effect. We would both like to say a massive thank you to all our sponsors and friends that we have made in our 8 years at the club". Altrincham Ladies' next scheduled match (27 January) is away to fifth-placed Warrington Wolverines. Alty currently lie third in the division. Altrincham FC Ladies defeated the league leaders, Liverpool Feds Reserves, on Sunday, 2-0 at Mersey Valley FC. This was the Ladies' second successive win after a 1-0 victory away at Didsbury FC on 16 December. On Sunday, Altrincham FC Ladies lost 1-0 away to Didsbury FC Ladies. They now lie third in the North West Regional League, Division One South table with the leaders, Liverpool Feds Reserves having put eleven goals without reply 11 - 0 against Wythenshawe Amateurs. On Sunday, Chester FC Women beat Altrincham FC Ladies 2-1, leaving the Alty Ladies in fourth place. Next up, the Ladies are away at bottom-placed City of Liverpool who have yet to take a point from six fixtures. Altrincham Ladies' 2-1 home win over Warrington Wolverines on Sunday took them back to top of the North West Womens Regional League Division One South. Previous leaders Liverpool Feds Reserves lost 6-1 at home. Altrincham FC Ladies now lie joint top in their league with Liverpool Feds Reserves. Their next fixture is away to Chester FC Women, next Sunday. Altrincham FC Ladies match on Sunday against Wythenshawe Amateurs was postponed after the opposition was unable to raise a team. 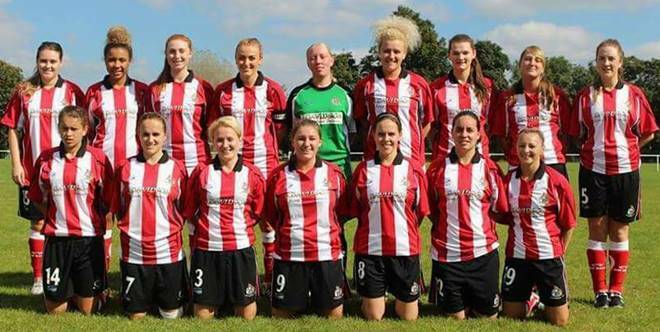 On Sunday, Altrincham FC Ladies lost 3-0 to Stockport County Ladies Blues. Nevertheless, Alty remain top of the North West Womens Regional League, Division One South. Next Sunday the Ladies entertain Warrington Wolverines at Mersey Valley FC. Altrincham FC Ladies beat Northwich Vixens 4-2 on Sunday in Division One South of the North West Women's Regional League. Alty Ladies remain top of the division. The official site has a report on Sunday's win for the Ladies' team. On Sunday, Altrincham FC Ladies won 2-1 away against Liverpool Feds Reserves and so remain top of the table. Next Sunday they entertain Northwich Vixens at Mersey Valley. The next scheduled game for Altrincham FC Ladies is on Sunday (30th) away to Liverpool Feds Reserves, who lie fourth in the league. Alty Ladies are the league leaders on goal difference. On Sunday, Altrincham FC Ladies beat Didsbury FC 3-2 at Mersey Valley in the North West Regional League, Division One South. A 7-0 home win by Altrincham FC Ladies against City of Liverpool Ladies, on Sunday, left the lady Robins top of Division One South of the North West Womens Regional League after two fixtures. They join Altrincham FC's Reserves men's team who also top their league table. The Reserves won again on Saturday, this time in the Cheshire County FA Amateur Cup. They defeated Mersey Royal 4-2. Last Sunday, Altrincham FC Ladies won 3-0 at home to Chester FC Women. Thus Sunday (9th) they are at home to City of Liverpool at Mersey Valley Sports Club. The North West Regional League reports that Altrincham FC Ladies opening fixtures of 2018-19 are both at home (Mersey Valley) against Chester FC Women (2 Sept.) and, a week later, versus City of Liverpool. Altrincham FC Ladies kick off their league season on 2 September, away to Chester FC Ladies.